Physiotherapy may help relieve some of the pain and tension that patients feel in their hands or arms. Massaging the palm of the hand and the forearm may help reduce the tension in the palmar fascia and the Palmaris Longus muscle (a muscle in most people’s arms that pulls on the fascia). Physiotherapy will not remove the nodules, though some therapists can help with releasing tension in the arm and treating the tissues around the lumps to give relieve of pain and increase the range of movement. Physiotherapy can consist of massaging or exercises. Some patients will wear splints to try slow down contracture, an example can be found on this page. Acupuncture and reflexology are other treatments sometimes used to try slow or even reverse the progression. Many consultants believe that physiotherapy will not stop the disease progress, but can help with the symptoms for a while. Exercises are not commonly recommended and are unlikely to prevent contractures. However some patients do report good results, even if for a limited period of time until the condition worsens and they need further treatment. massaging the whole arm and hand to create good flow of fluid from the hand to the heart and from the heart to the hand. hot wax treatments to the hand or other warm applications, for many people applying heat or at least warmth first help to make exercises easier. 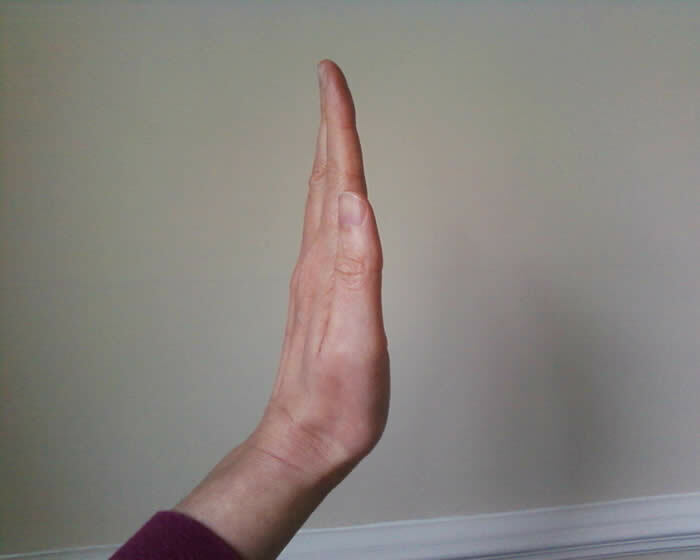 after heat treatment or ultrasound, massaging sideways over the palm may help to loosen the tissues a bit, with the other hand or done by a professional with tools made for tissue release techniques. wearing night splints, the idea being that at night many people have their fingers slightly curved which makes it easier for the contracture to settle in a curved position. There are different type of exercises with different goals. Remember that most exercises work best if you stretch until you feel resistance, NOT stretch until it really hurts. Hold that tension for 10-15 seconds, release and repeat 10 times. Tendon Glide exercises are meant to make the deep and superficial flexor tendons (the ones that bend your fingers) move separately. 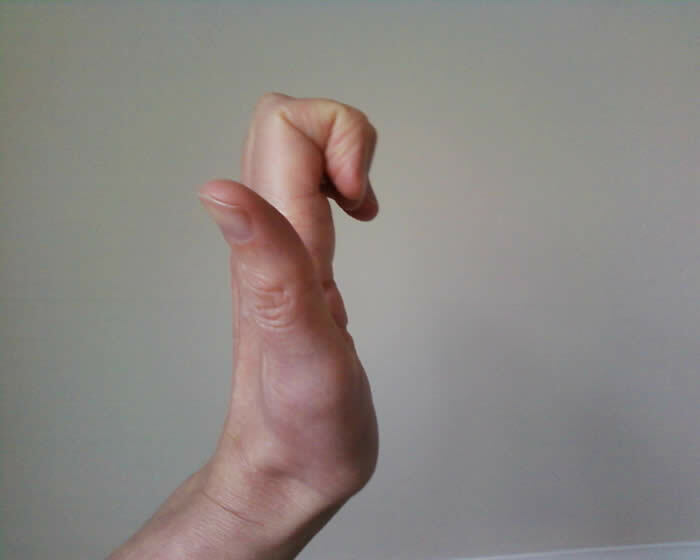 The are done by making different types of fists, as shown in the pictures here, going from a flat hand via fingers only bend at the hand joint to a fist with bend fingers to a fist with fingers straight. Place your hand against each other with the fingers stretches and the tips touching, try pushing the palms together as well. If you can get palms and fingertips touching, try to push the fingertips of one hand away with the tips of the other hand. Place hand on a flat tabletop. Lift the palm off the table while keeping your fingers on the table, to stretch the joints between the hands and fingers. With the hand flat on the table try to spread your fingers as wide as they will go. 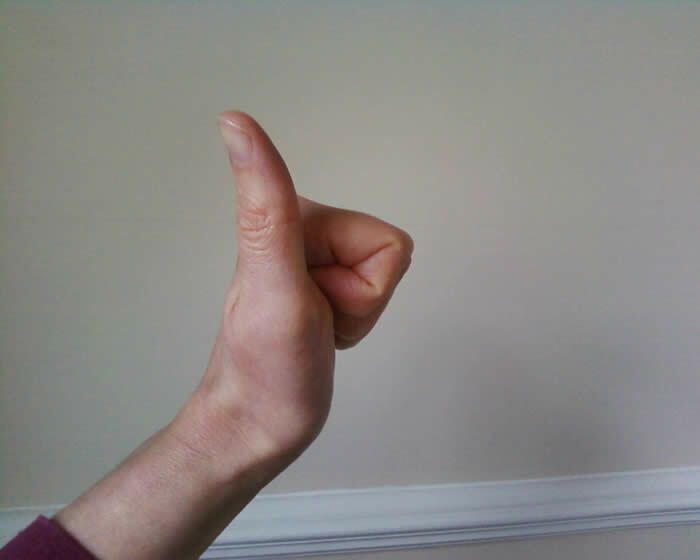 Then move each finger toward the thumb (start with the index finger) while holding the hand flat to create as much space between the fingers as you can each time. 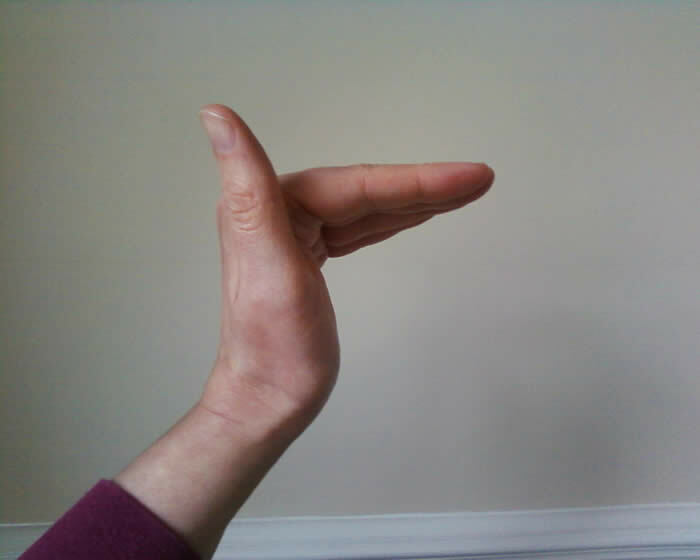 This exercise can be doe the other way around as well by moving each finger toward the little finger. 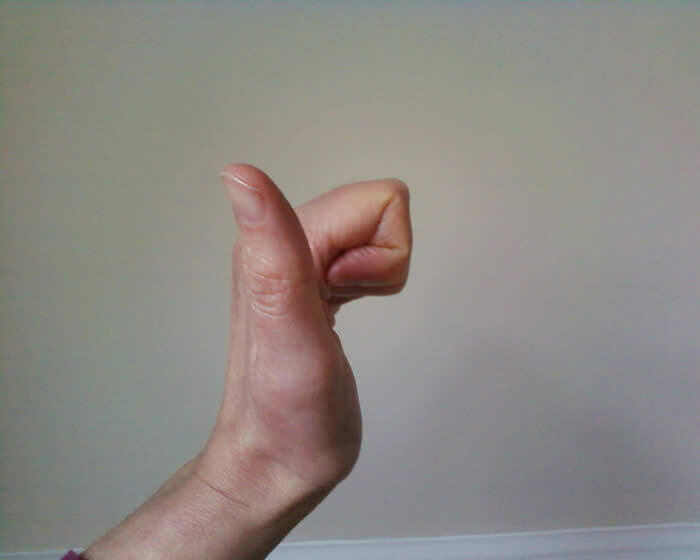 Hold you hand up, and make the thumb touch the tip of each finger in turning, creating a circle of the finger and thumb. Use a folded up towel, or a sponge (cut to size of you want). Place it in your hand and squeeze tight, then release after 10 seconds and repeat. Soft exercise balls or babies toy balls work as well. 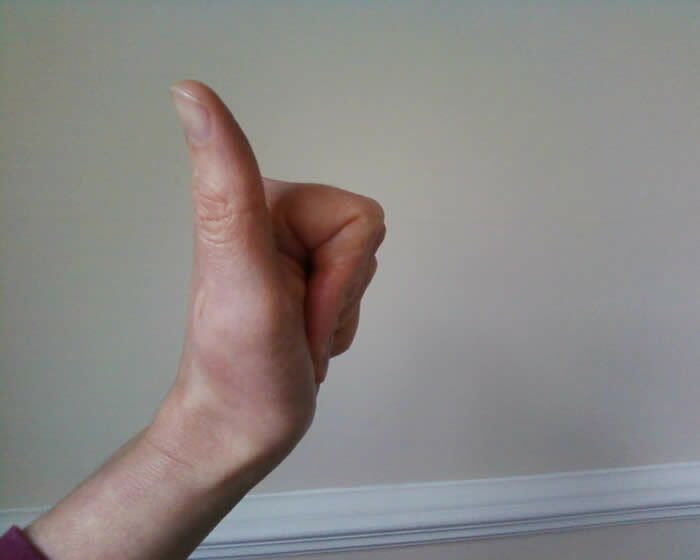 Not many people specialise in Dupuytren’s massage, those we know of with a special interest in Dupuytren’s can be found here.